The 2019 Jeep Compass features best-in-class 4x4 off-road capability, fuel-efficient powertrains, and an iconic design that's authentically Jeep, all in a compact with superior on-road driving dynamics and open-air freedom. New among its plethora of safety and technology features is a standard 7.0-inch Uconnect radio for the Latitude and Sport models, a brand new Sting Grey exterior paint, and premium lighting. How is the Compass designed? 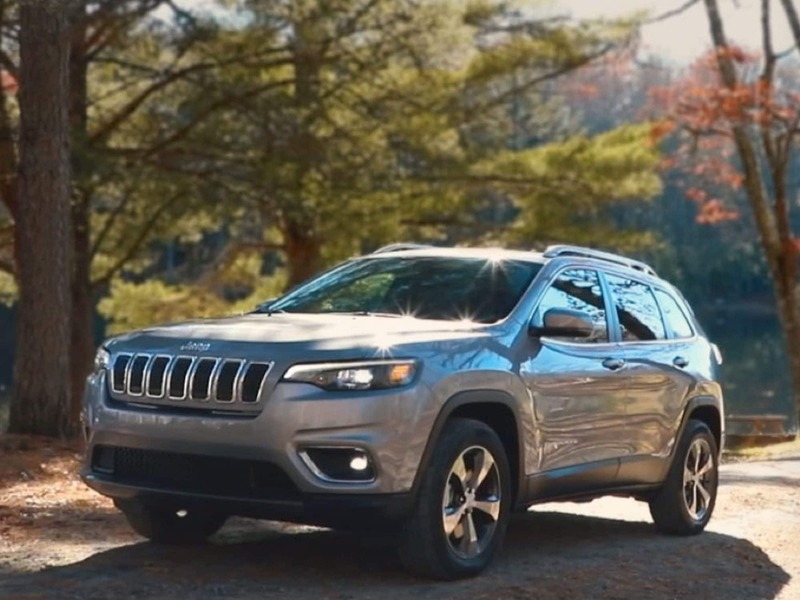 With softer lines inherited from the Cherokee and Grand Cherokee, the 2019 Jeep Compass has a look all its own that sets it apart from similar makes and models. The siding and back of the Compass offer a more modern take on the compact, but without taking away from the iconic seven-slot grille featured on the front. The Compass is capable of offering prime head and legroom for up to five passengers or increase cargo capacity with its folding second-row seats. Improved sound deadening allows the Compass to offer a quieter driving experience than similarly sized vehicles. And for the off-roaders, the specialized Trailhawk model lets pavement become an afterthought with its Active Drive 4x3 20:1 crawl ratio, 10 inches of water fording, hill-descent control, 17-inch off-road tires, front and rear tow hooks, skid plates, and increased ride height. What transmission options are available? The 2019 Jeep Compass manages 32 miles per gallon thanks to the fuel-efficient 2.4-liter Tigershark engine. Three transmission options let you decide how the Compass will drive; six-speed automatic for 4x2 models, nine-speed automatic for 4x4 models, and the available six-speed manual available for 4x4 or 4x2. The Selec-Terrain feature provides specialized modes that deliver exactly the kind of performance you need from your four-wheel-driver regardless of the weather or environment with snow, sand, mud, and automatic options. And with 2,000 pounds of towing power, the Compass can get through a ton of work at once. How safe is the Compass? Constructed with high-strength steel, the 2019 Jeep Compass is comprised of a protective body that optimizes both crash protection and vehicle dynamics. Additionally, the Compass comes standard with several features that include; Rear Cross Path Detection, advanced eight airbag system, brake assist, ParkView Rear Backup Camera, anti-lock brakes, and an electronic stability system. If that doesn't seem like enough, the Compass offers optional features such as; Full-Speed Forward Collision Warning, a ParkSense Front and Rear Park Assist system, LaneSense Lane Departure Warning, and Blind Spot Monitoring. Whether on or off the road, the 2019 Jeep Compass is built from the inside out to keep you safe. The 2019 Jeep Compass is an off-road 4x4 that can go any and everywhere, and has thanks to its presence in over 100 countries. With choice of transmissions and the powerful Tigershark under the hood, the Compass can and will drive the way you want in whatever environment you want. With excellent interior comfort and exterior design the Compass turns every drive into one of comfort and style. All the while the safety features built from the inside out mean you can drive without worry. If you're interested in the 2019 Jeep Compass, don't hesitate to contact us today.